It’s a crisp Spring day and the flowers are in bloom. 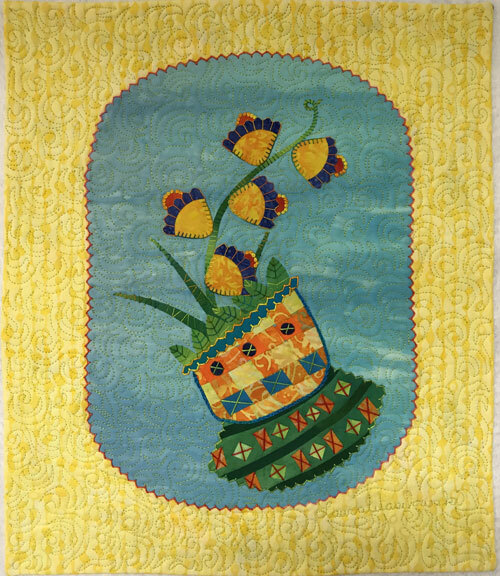 Spring Blooms #8 measures 12″ x 14.5″. It is hand embroidered and machine quilted. There is a sleeve on the back for hanging on the wall.